Established in 2013 and operating social farms since 2014, Kerry Social Farming (KSF) was founded on principles of equality, social inclusion, voluntary community development and collaboration. It is currently the only voluntary model of social farming in Ireland in that farmers are not paid for their time with participants. 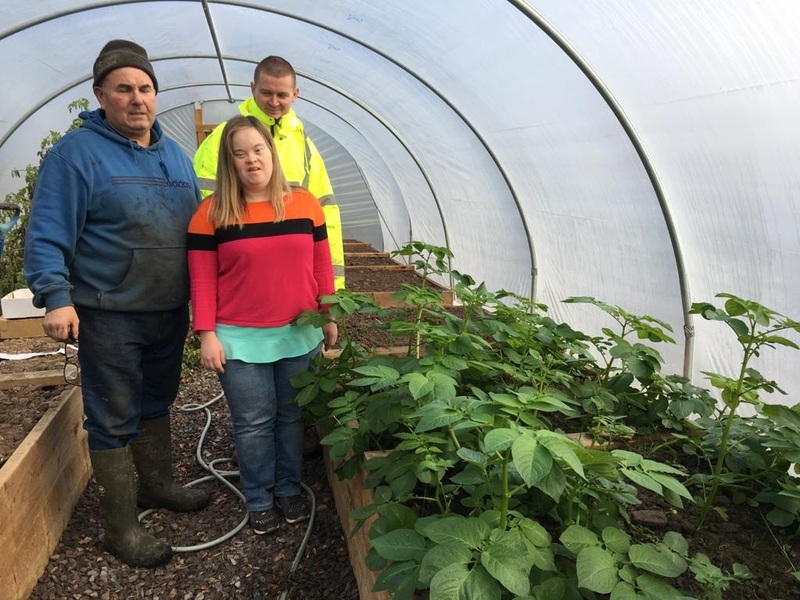 It is a locally-led, community-based, shared service that provides farming and social inclusion opportunities to people with intellectual disabilities and acquired brain injuries, all within local communities. Support for social farming in Ireland, including Kerry Social Farming, comes primarily from the Department of Agriculture, Food & Marine (DAFM) through its Commission for Economic Development of Rural Areas (CEDRA) Rural Innovation and Development Fund. As well as its fit with CEDRA, KSF is also aligned with Kerry’s Local Economic & Community Plan and receives support through the Social Inclusion and Community Activation Programme (SICAP). HSE’s New Directions provides the framework for the governance, planning and implementation of KSF based on person-centredness, community inclusion, active citizenship and quality. Growth & Development of Kerry Social Farming 2013-2017. The Kerry Social Farming Project commenced in 2013 under the auspices of lead partner South Kerry Development Partnership CLG. The research findings from the Iveragh uplands and Rural Vibrancy in South Kerry more widely point to the broader value of farming to society and the economy as well as the strength of rural vibrancy demonstrated by rising volunteerism through a time of austerity. It is within this context that in 2013, a working group was formed of members from families of people with a disability, farmers, service providers, community development organisations and local government to create the Kerry Social Farming project or KSF (SKDP). The KSF Working Group held its first meeting on 29th May 2013. Prior to May 2013, six months of planning and development work was carried out including attending conferences in Carrick-on-Shannon, Belfast and Armagh, as part of the Social Farming Across Borders (SoFAB) project. From the beginnings in early 2013, Kerry Social farming has helped to build closer links between the farming community and people with disabilities and has grown steadily and sustainably from year to year, delivering 76 days of social farming within the first six months of July-December 2013 to 264 social farming days in the last six month period from January to June 2017. The KSFP has expanded from four farms in 2013 to a total of 11 social farms by the end of October 2017, three of which were newly established in 2017. A further three farms are in start-up phase by and will be up and running in early January 2018. 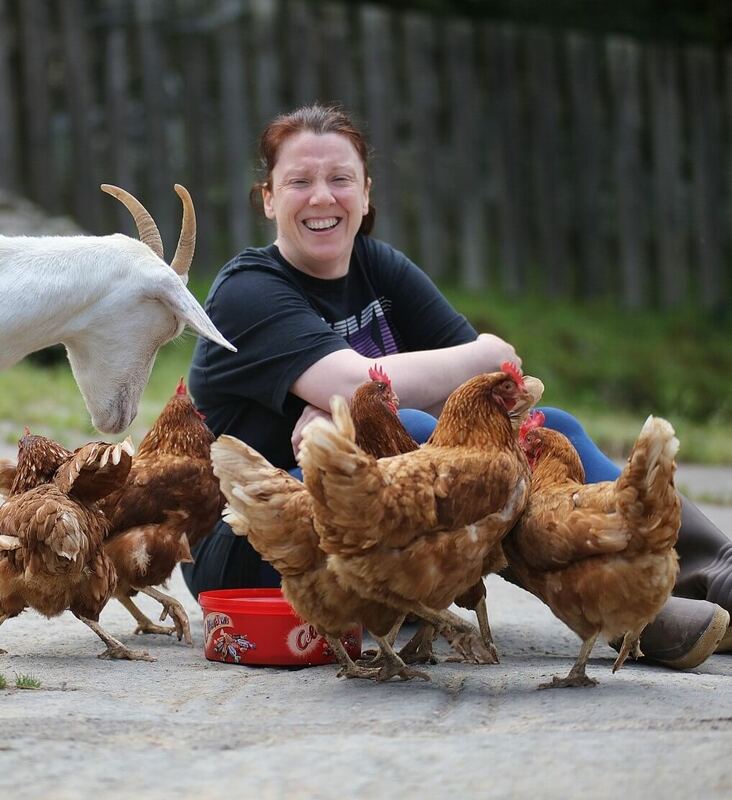 To date, the Kerry Social Farming host farms have opened their farm gate to over 36 people with disabilities to avail of farming activities and enjoy the experience of being with animals and plants in a safe and friendly environment. The farms remained as working farms while offering participant opportunities to learn farm skills, life skills, connect with the rural community and build relationships. To promote and operate social farming in Kerry as a viable option for achieving improved quality of life, greater inclusion and community networking for people with disabilities. Through working collectively in a shared service with the social care service providers, people with disabilities, local communities, local development companies, national and local government, the business community, farm organisations & farm families to develop and provide Social Farming opportunities in Kerry. The Kerry Social Farming Project steered by the KSF Working Group and is under the legal umbrella of lead partner South Kerry Development Partnership CLG. South Kerry Development Partnership CLG provides the legal, financial and administrative governance for Kerry Social Farming. Kerry Social Farming is about Real Social Inclusion. 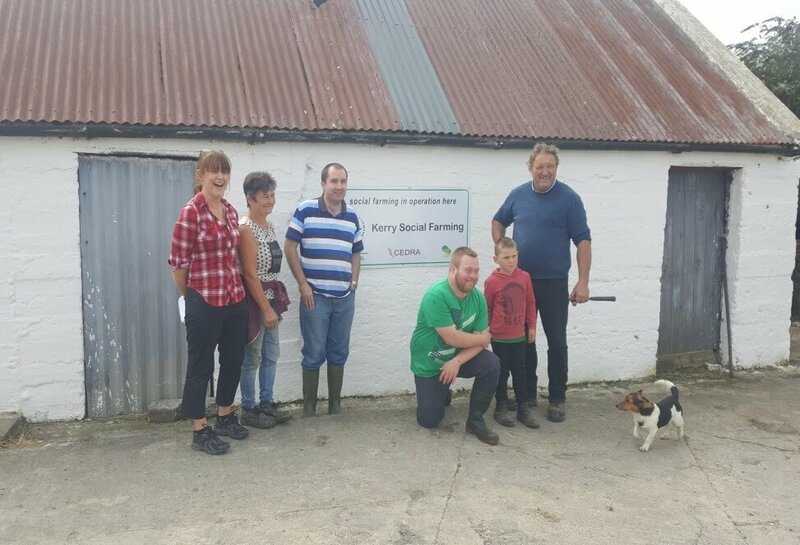 The model of social farming in Kerry is unique in Ireland in that the KSFP is voluntary and community based – both the host farmers and the participants (persons with disabilities who avail of social farming) work together on a voluntary basis on the farm. The benefits of the voluntary model are that it lends itself to promote real social inclusion and foster real friendships and working relationships. In addition the voluntary model is sustainable, providing long-term placements for participants on the farms. This voluntary model harnesses the phenomenon of Rural Vibrancy that is evident right across Kerry and also evident in rural communities nationwide. 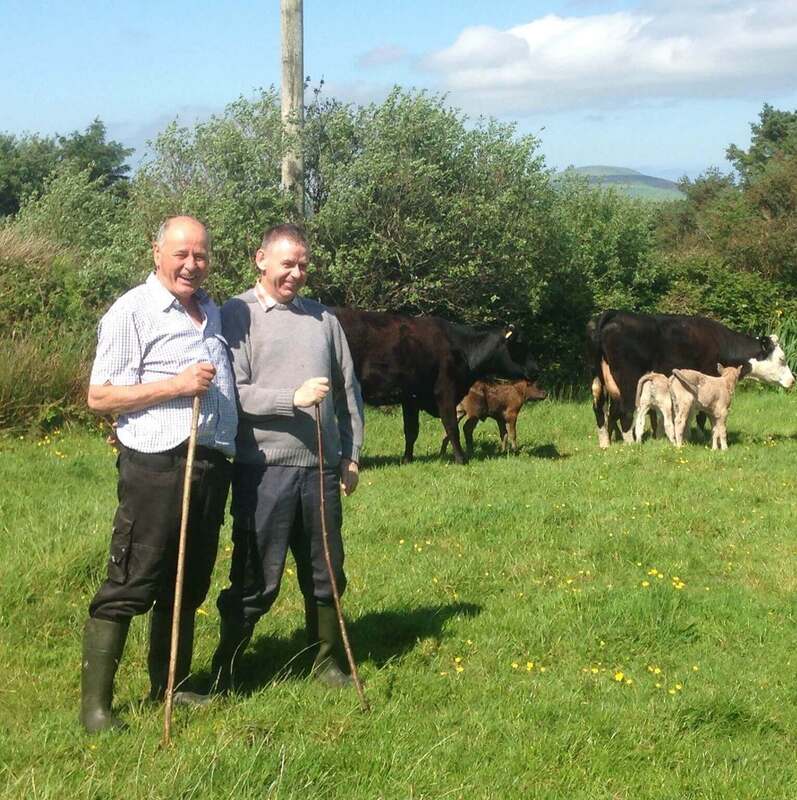 The host farms involved in the Kerry Social Farming Project are real ordinary farms. Participants attend the farm typically once a week for a few hours and get involved in farming activities which can be anything from feeding livestock, growing and delivering vegetables, attending the Mart etc. Therefore, farming life and activities continue as normal while participants are on the farm. Through the support of the host farmer, participants get to meet more people in the local rural community, getting to know the neighbours, other farmers and the farming family. The KSF Working Group and facilitator ensure that no host farmer is out of pocket. Full financial support is given to cover additional insurance costs and implement necessary farm upgrades that may be required to ensure the health and safety of the participants, as well as funding additional activities on the farm that the participant would enjoy and benefit from. Kerry Social Farming operates by the principles of bottom-up community development. 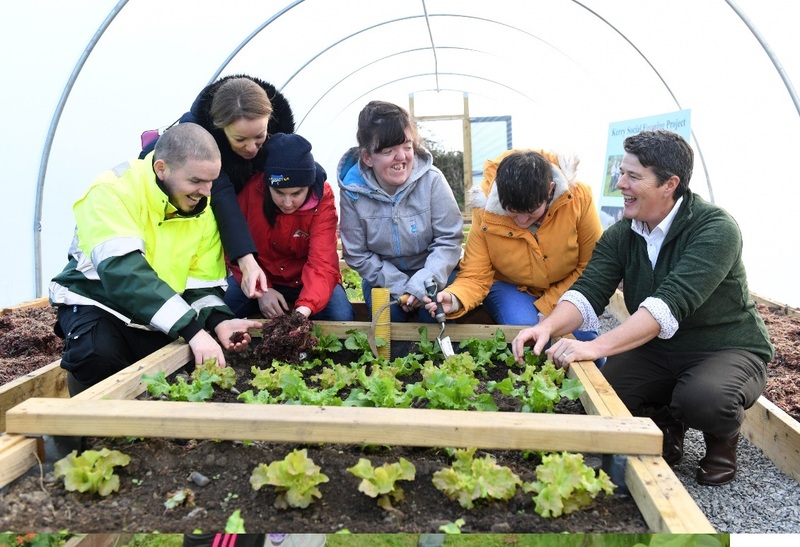 Using a bottom-up approach, South Kerry Development Partnership CLG, the KSF lead partner, is ideally placed to bring together various stakeholders in the community to work together as Kerry Social Farming Shared Services. Representatives of the above partners make up the KSF Working Group, which is a working group of lead partner South Kerry Development Partnership CLG (SKDP) and reports regularly to the management and board of the partnership. Apart from the representatives on KSF Working Group, outlined above, KSF also works collaboratively with Local Link Kerry (Rural Transport) Local Link Kerry in developing a social car model, whereby host farmers and other community volunteers transport participants to and from the farm, thus helping the project to grow sustainably. 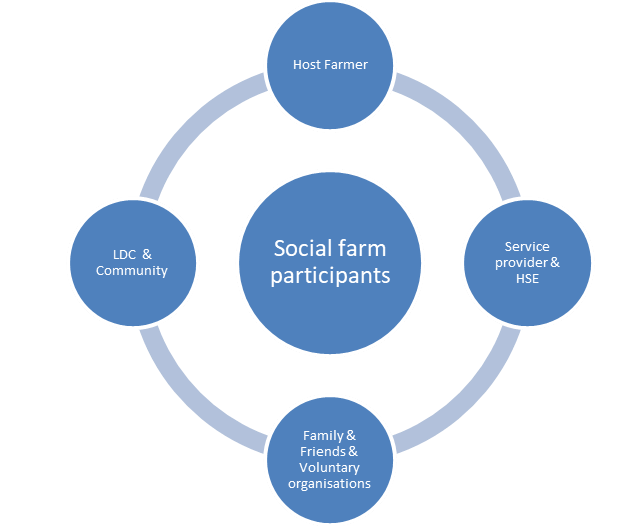 The above model shows how all partners support the social farm participants by working together. Ger and Mary Anne O’ Sullivan’s, Laharn South Cahersiveen. Ger and Mary, with the help of Ger’s brother Tim, run a mixed farm consisting of suckler cattle and sheep. Earl the social farm participant works alongside Ger, participating in a whole variety of regular farming activities: feeding livestock, especially helping to look after calves and lambs, herding cattle, change electric fences and cleaning sheds. From time to time Earl also heads off to the bog with Ger as well as mowing lawns, restoring old gates and a variety of community work. Earl has gotten to know a lot of people in the local community through his involvement in social farming – he knows all the neighbours and has gotten to know the farmers at the local mart. Ger and Mary Anne are delighted with their involvement in the project as they have gotten to know a lot of new people through their involvement in Kerry Social Farming. Recently Ger and Mary Anne attended a Black Tie event with Earl hosted by Special Olympics Club, the Skellig Stars as Earl is one of their athletes. 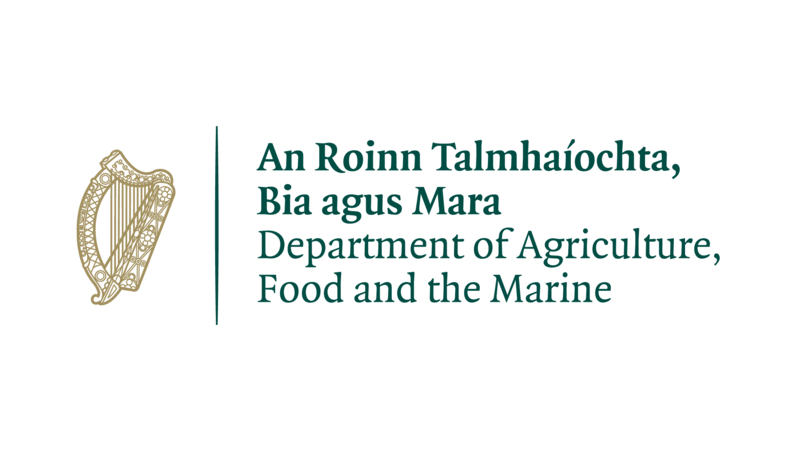 In 2017, farm upgrades, funded by the Department for Agriculture Food and the Marine, on Ger’s farm basically involved work done to enable the safer movement of cattle in/out of the slatted unit when the participant is present: this involved replacing a swing door with sliding door along with securing barriers across the farmyard where cattle would be moved in between sheds. Work on Mary’s horticultural enterprise includes preparing seed beds, planting organic seeds, watering and maintaining health crops which she delivers fresh to local restaurants in and around Killarney. Farm upgrades in 2015, funded by SKDP SICAP funds, included putting doors on the polytunnels to make it warmer inside for the Social Farm participants to work in. A very basic Irrigation system which the Social farm participants can operate was installed. This helped to reduce the manual work involved in watering the plants with watering cans. It also reduced the volume of water used in 21 growing the plants. These small capital improvements provided more meaningful work for the participants. Mary has begun to operate a weekly organic box system on her farm. The participants pick and sort the salad leaves and vegetables for the boxes. Social farm participant are now engaging with customers of the box system as they come to the farm to pick up their pre filled box of organic salads. Denise and Pat love delivering the vegetables with Mary. Dessy has small beef farm, self-catering accommodation and a part time job off the farm. He provides social farm opportunities participants every Friday. 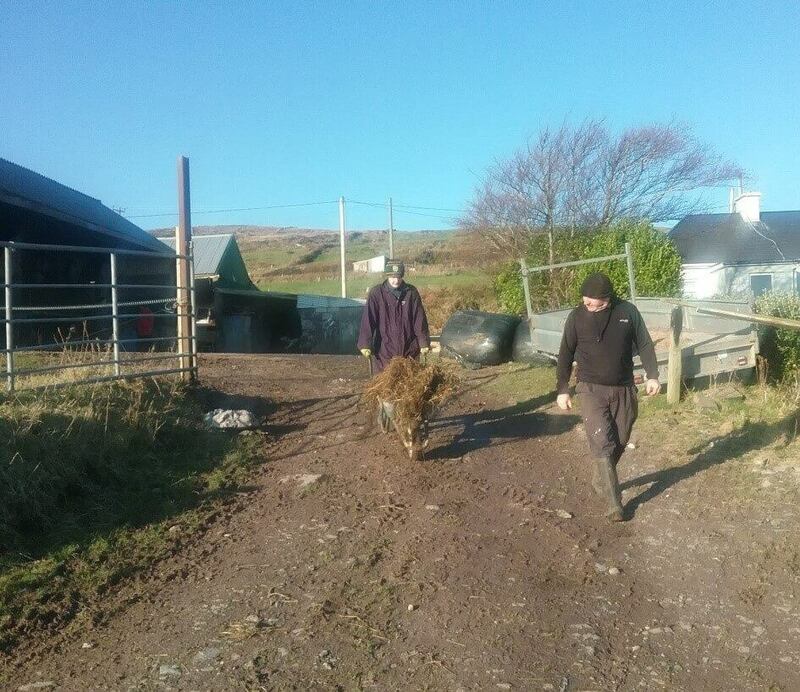 Ryan and John are accompanied by their KPFA support worker Irene Brune on the farm. A poly tunnel has been constructed with SICAP funds on the farm for the participants to work in. They also feed the animals in the winter and move them around the farm in the summer. They enjoy the day on the farm each week. In 2017, an area of farmyard on Dessy’s farm was concreted to enable easier access for participants, and also to facilitate participants using the wheelbarrow in the yard. Gates were inserted to enable safer movement of livestock when participants are present. Electrics were upgraded in the slatted unit to improve the lighting in the unit for the participants. Patricia and Anthony Kelliher, Listry, Killarney. 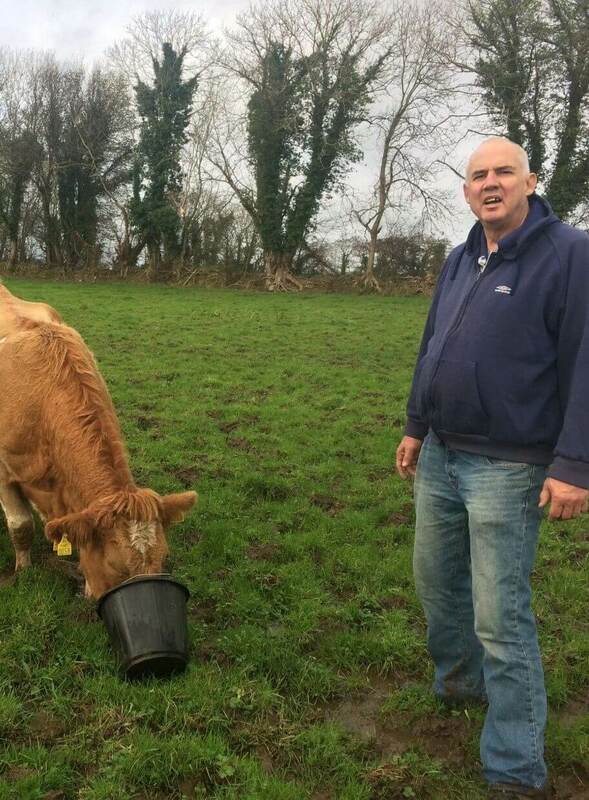 Patricia and Anthony Kelleher run a beef farm and also have bucket rearing dairy calves. Vincent the participant attends the farm on Tuesdays and has worked alongside Anthony to improve calf pens for the bucket rearing calf enterprise, which has expanded with the introduction of social farming on the Kelleher farm. The dairy calves are purchased from local dairy farmers and bucket reared by the Kelleher’s and Vincent. Vincent likes the tasks of measuring marking and cutting the steel under Anthony guidance to make pens for the calves. In addition, Vincent and Anthony worked on improving the electric fencing around the farm yard and the fields close to the yard to make it safer and easier for Vincent to move the calves in and out of the sheds for feeding. In addition, gates were put in place which can open a close safely by participants. Other activities have included piking silage, cleaning sheds and dosing cattle. 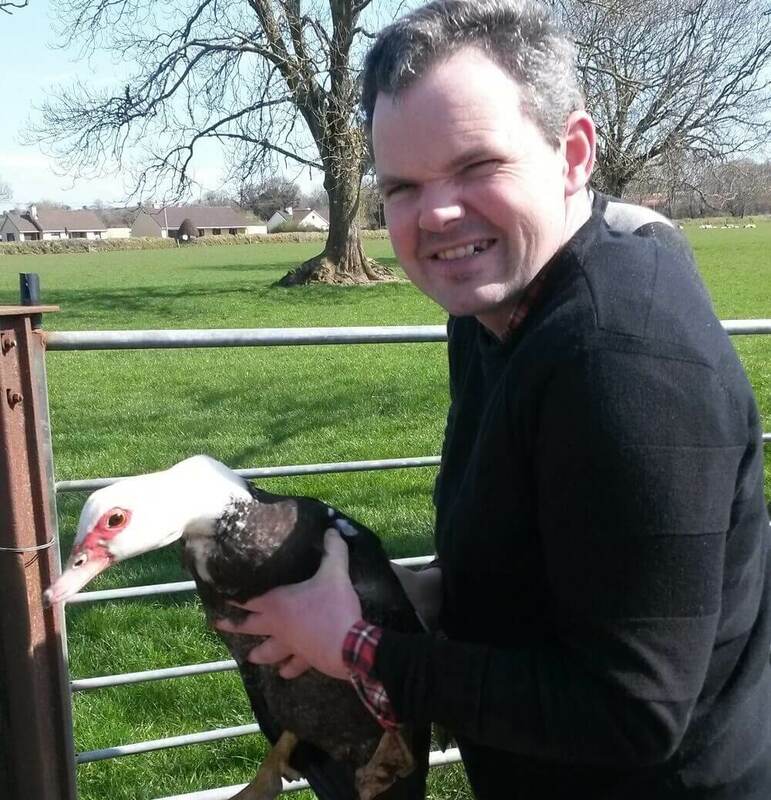 Recent farm upgrades in 2017, funded by the DAFM were required to provide alternative activities for Vincent on account of health reasons, meaning that the he cannot do any heavy duty work. A polytunnel has been purchased to provide different activities for the participant and enhance the social farm offer. Additionally a creep feeder for calves along with an accompanying weighing scale was purchased to enable the participant safely feed the calves. The participant will work alongside the farmer, writing down the weight of the calves and Patricia will teach Vincent how much feed to give to the calves based on their weight. This is a wonderful example of blended learning, where a participant can improve numeracy skills through farming practice with the support of the host farmer. John runs a mixed enterprise of beef and sheep and has worked part time off the farm for the Irish Wheelchair Association. 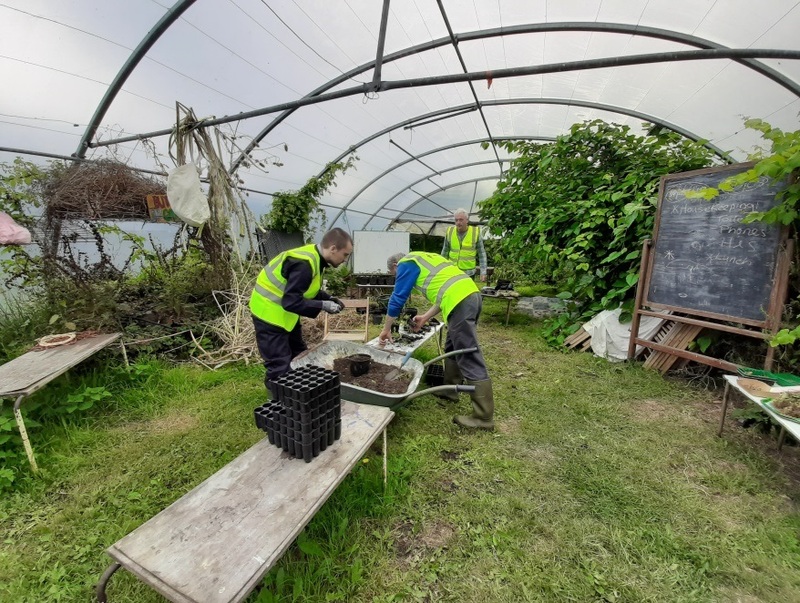 With the support of SICAP funds and SKDP Rural Social Scheme participants, a polytunnel was set up on the farm for the participant to work in. With the support of CEDRA funds from the DAFM, a shed was erected in 2017 next to the existing polytunnel, to enable the participant to put his wet/PPE gear in and store his tools, which is particularly important in bad weather. The shed is also a rest area for the participant. George Kelly, Hazelfort Farm, Ballymalis, Beaufort. George Kelly runs a mixed enterprise of mainly suckler cattle and some sheep. In addition George has self-catering and a visitor activity centre on the farm. Activities that the participants engage in include piking silage for cattle in the slatted unit during the winter, and feeding other livestock and farm animals such as the horses, farm ducks and “Babe” Pot Belly Pig. During the Summer months participants get involved in preparing the visitor cottage for tourists, gardening, tagging calves, moving cattle and assist in other odd jobs such making a gate, painting fencing etc. The participants are assisted by agency support workers both on the Monday and Wednesday. In 2017, DAFM upgrades in the farmyard included concreting an area outside the slatted unit for access purposes for participant with mobility issues, as well as enabling the participants to use a wheelbarrow in the area. The area was also upgraded to enable the safer movement of cattle when the participants are present, by means of hanging additional gates in the area as well as replacing a swing door with a sliding door. Christy and Mary McDonnell, Kells. Christy and Mary have a suckler cow and sheep farm about four miles outside Cahersiveen. Christy provides social farming opportunities for David Cronin and Ellen O’Donoghue every week. David loves farming and is very involved in day to day activity of the farm which includes fencing, moving livestock, feeding animals indoor in the winter, cleaning sheds before and after calving, maintaining equipment and cutting fire wood. Following a yearly safety audit by KSF in 2017 a number of upgrades were identified. Additional fencing and gate were required outside the slatted unit to allow for safer movement of cattle. Additionally, a polytunnel is erected to increase the activities on the farm for participants. These upgrades have been funded by the DAFM. Ellen began social farming in September 2018 and is enjoying all activities so far and is keen to learn more about farming, cooking and baking. Eamon has two participants from St John of God Kerry Services who attend his farm every Wednesday. Eamon runs a mixed enterprise sheep and beef cows. Eamon also has pigs and some fowl. He has joined the organic farm scheme and is involved in GLAS – Eamon has taught participants Tim and Mags how to make bird boxes for the GLAS schemes. 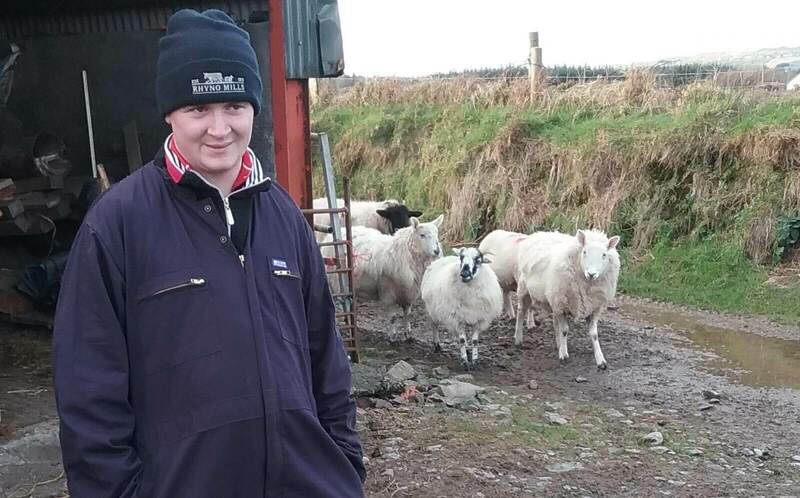 During late 2015 Eamon and Tim, the Social Farm participant, upgraded the sheep handling facilities to a standard suitable for the Social Farm participants to work with his sheep in a safe, clean and dry environment. 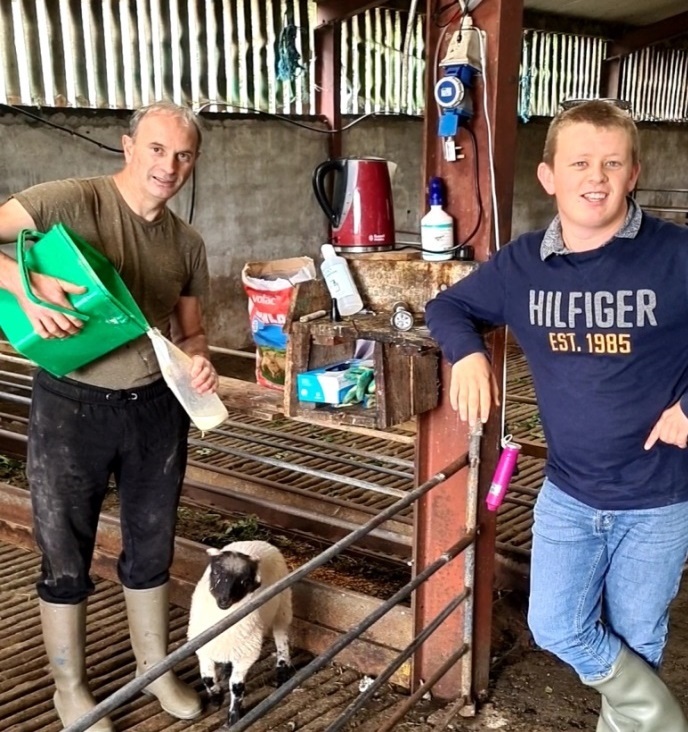 In addition to the two SJOG participants Eamon has also facilitated an applied leaving cert student with disabilities from Kenmare Community School to avail of work experience on his farm. Going forward KSF will continue to work with Kenmare Community School, facilitating students who are at risk from social, educational and employment exclusion. Recently Eamon has also been able to accommodate a young man with disabilities. Mags O Donoghue, participant, who also attends Eamon’s farm The ground is currently being prepared for a polytunnel that has been purchased to extend the current activities and projects that are carried out on Eamonn’s farm. Breeda and Patrick O’ Sullivan, Glencar. Breada, the participant, attends Breeda’s farm on Tuesdays, independently of the support worker. Breeda, the host farmer, transports the participant to and from the farm, having signed up to the social car scheme which is operated collaboratively bettween Kingdom Social Farming and Local Link Kerry. Despite the fact that Breada has never done any farm work previously she has gotten very well on the farm, with the support of the host farm family: Farming activities that Breada the participant partakes in include feeding and marking sheep, fencing, checking the cattle along with gardening and baking. Fencing near the entrance of the farm yard on Breeda’s farm was improved on for the safety of the participant, along with roofing in one of the sheds, supported by CEDRA funding from the DAFM. 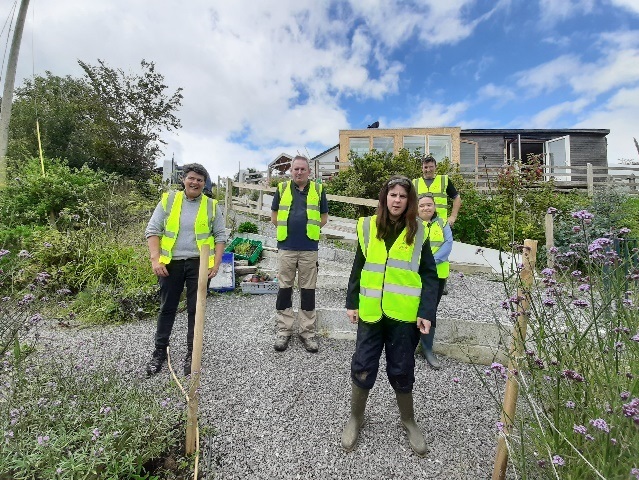 The area around the community garden at Shannow resource centre in Abbeydorney was made fully wheelchair accessible for the participant Seamus who avails of Enable Ireland Kerry Adult Services, one of the KSF partner agencies. 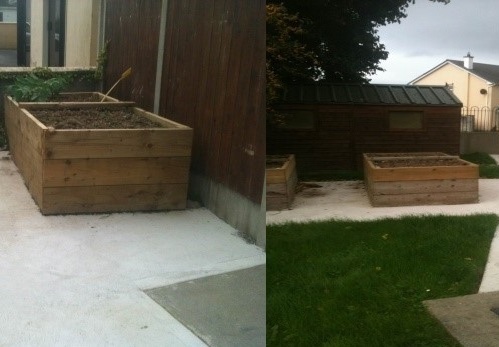 In addition, some beds were raised for the participant, and the area in and around the existing polytunnel was made fully wheelchair accessible. These adjustments were funded by NEWKD SICAP funds and CEDRA funding from the DAFM. Seamus loves gardening and participates in the gardening social group at the centre, headed by Denis Burns, the host farmer. Helen and Danny O’ Mahony Castleisland. Helen and Danny O Mahony have a suckler cattle enterprise near Castleisland. 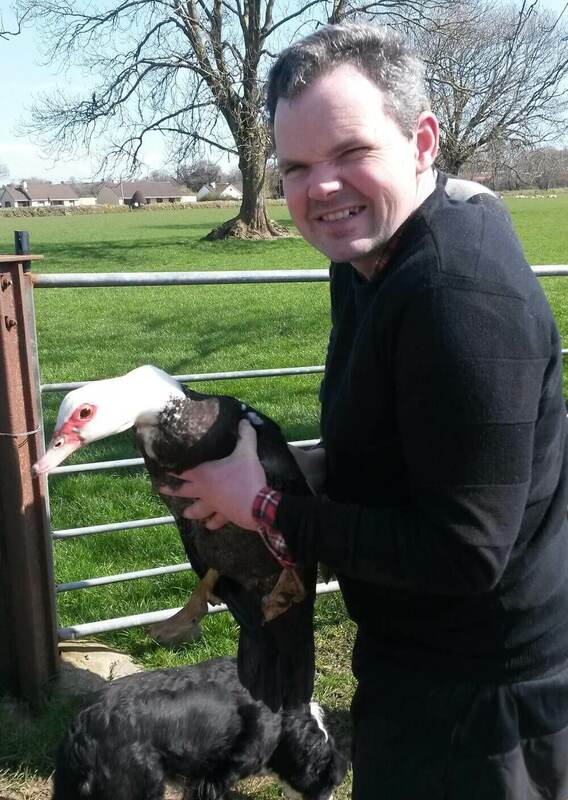 Michael has recently sailed through his induction on the farm and loves doing all the jobs with Helen and Danny. Helen and Michael recently featured in an article on the Kerry Social Farming Project in the Country Living Section of the Farmers Journal. They also played host to a large crowd who attended an enjoyable and informative Farm Walk on O’Mahony’s farm in March 2018. 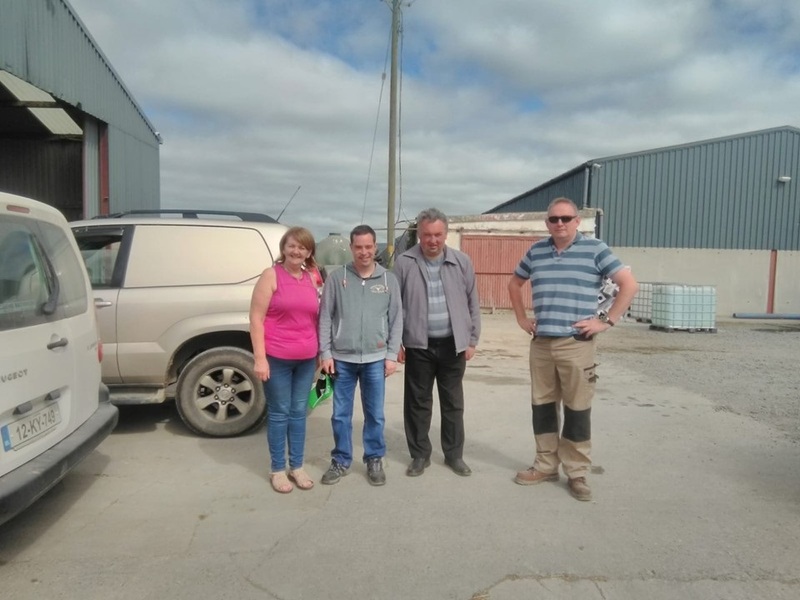 Ger and Catherine run a dairy farm based in Annadale, Killorglin and they met up with participant Owen O’ Connor on 10th September. Owen is from Glenbeigh so the farm is an ideal location for him. It is hoped once he has settled in on the farm he will eventually use public transport to get to Killorglin. Joseph McCrohan SKDP Rural Development/KSF Manager and KSF Facilitator Irene Kavanagh carried out a farm Health and Safety assessment along with the host farmer. Staff from SJOG were also present and carried out a Risk Assessment. Safety signage has been put in place on the farm and minor works are being carried out to the outside toilet. Owen comes to the farm in the afternoon so he can help Ger and Catherine with milking which is a key task on any dairy farm. Willie Reidy, Castleisland Community Garden. Participant: Claire Rohan (SJOG, Kerry Services). Willie Reidy is host farmer at Castleisland community allotment. The setting is a community horticultural enterprise, and participant Clare Rohan from SJOG Kerry Services avails of social farming opportunities with Willie every Friday or Monday. Clare engages in a wide range of activities include seeding, harvesting, weeding and clearing, and tidying the polytunnels. During the Autumn period Clare and Willie have been very busy cleaning out polytunnels and compost area as well as grafting trees and saving/gathering seeds. Clare, who started Social Farming with Willie in May 2018, completed her trial period with flying colours in August and Clare and Willie are delighted to continue social farming for the foreseeable future and are already putting plans in place for 2019! John has a sheep farm at Blackwater in the scenic and renowned Black Valley area. John met with participant Daniel Cronin and his support worker Jim O’ Mahony on September 28th. Daniel, who avails of Kerry Parents and Friends service in Killarney. 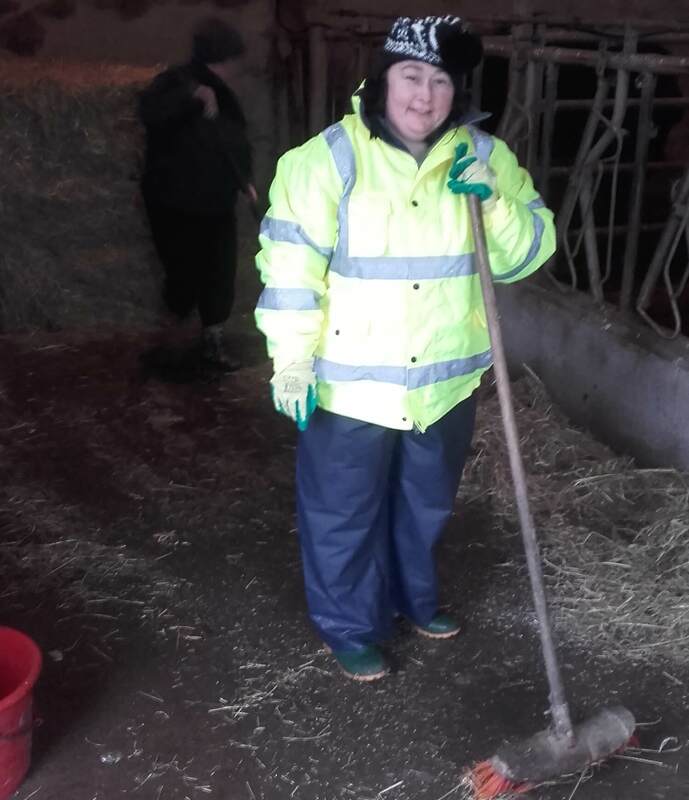 Joseph McCrohan SKDP Rural Development/KSF Manager and KSF Facilitator Irene Kavanagh carried out a farm Health and Safety assessment along with the host farmer and improvements have been carried out. New signage has been put in place and some additional upgrades are being done to the electrics in the shed. The concrete in the yard has also been improved. 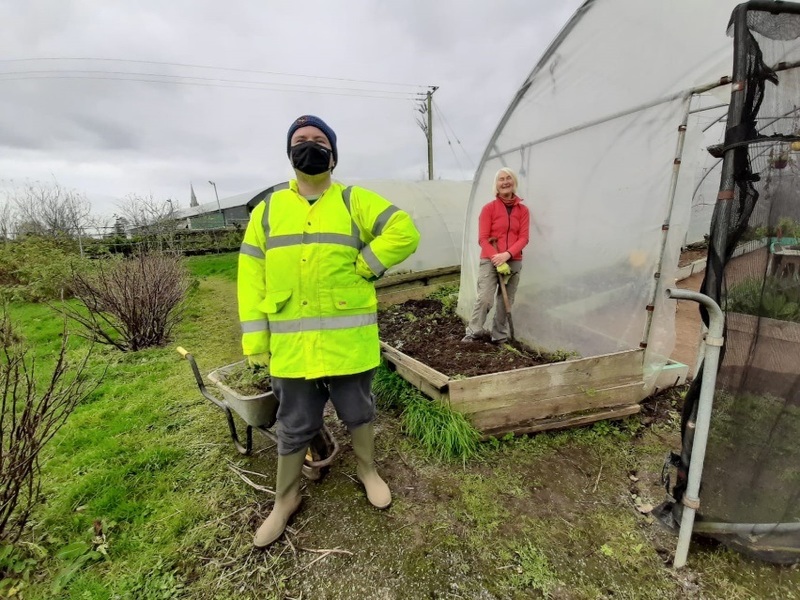 James Cullinane has recently begun social farming, with support worker Mary O’Sullivan accompanying him on farm visits. Mary operates a mixed farm enterprise near Ballyduff in North Kerry. She has dairy cattle, sucklers and sheep. Her niece Karen and her fiancé Paul also help out on the farm. Stephen Faley and John O’Connor attend St John of God Services at Listowel and have been keen to avail of social farming for some time. Together with their support worker Orla Cooney, they visited Mary’s farm and first impressions were positive on all sides. The farm HAS assessment was done and works were recommended, so as to improve housing of livestock and roof repair to farm buildings. Support plans are now in place for Stephen and John and they are enjoying their social farming time. There was much discussion on where to place the new Social Farming sign until its location was eventually agreed! Eileen Carroll and Ian McGrigor, Gortbrack Organic Farm, Ballyseedy, Tralee. Eileen Carroll and Ian McGrigor have run Gortbrack Organic Farm at Ballyseedy, near Tralee for almost 30 years offering a wide range of activities on their 11 acre holding. They grow fruit and vegetables and run regular classes on all aspects of organic horticulture, as well as providing a relaxing venue for self-catering holidays. Kerry Social Farming is delighted to work with Eileen and Ian in bringing social farming to this unique venture. Donal McCarthy and Patrick Barry avail of St John of God services in Tralee and are now participants at Gortbrack. A safety audit was done, with input from the National Council for the Blind due to visual impairment of one of our participants. Works were recommended including the placement of steps and installation of handrails. Colette O Sullivan, Tullig, Cahersiveen. Colette and her husband have a suckler herd at Cahirsiveen. Tracey McCarthy from Cromane has been keen to go social farming for some time. A safety audit for the farm and all the recommended farm works were completed. Garda vetting was completed satisfactorily. There was an issue around transport and support for Tracey so she can travel from her home to Cahersiveen. This was resolved in collaboration with Kerry Parents and Friends Association with the hiring of additional support workers. Ann Campbell is Tracey’s support worker and now accompanies Tracey on her visits to the farm. Rena Blake has a small holding just outside Ballybunion. She keeps livestock and fowl, and grows a wide variety of vegetables and fruit with an emphasis on organic and sustainable growth. Bronagh Enright and Antoinette O’Sullivan attend the St John of God Centre in Listowel. A safety audit was carried out in Rena’s farm and upgrades were approved and carried out. A new polytunnel with raised beds was put in place and pathways were improved in line with recommendations around mobility issues for one participant. Concrete flooring was improved in an outbuilding also. A risk assessment was carried out once the upgrades were finished and all vetting was completed. Bronagh and Antoinette attend each Friday. Carmel Nolan and Orla Cooney are the support workers who support the participants. Maura runs Maura’s Cottage Flowers in Ballyroe, just outside Tralee. She grows flowers using organic methods in her on-site polytunnels and provides floral arrangements for all occasions. Vanessa Meehan and Ciara Corridon avail of services with Skills Plus at St John of God, Ashe St., Tralee and they are attending Maura’s premises. An initial safety audit was done with input from St. John of God staff and improvement works have been identified, including the laying of a new footpath to improve access to lower polytunnel and installation of handrail. Safety signage has also been put in place. Cormac Galvin is their support worker and attends with them each week. Maura writes a column in Irish Country Living supplement of the Farmers Journal and this has helped bring the message of social farming to a wide audience and showed its presence in a new area outside of what might be viewed as mainstream farming. 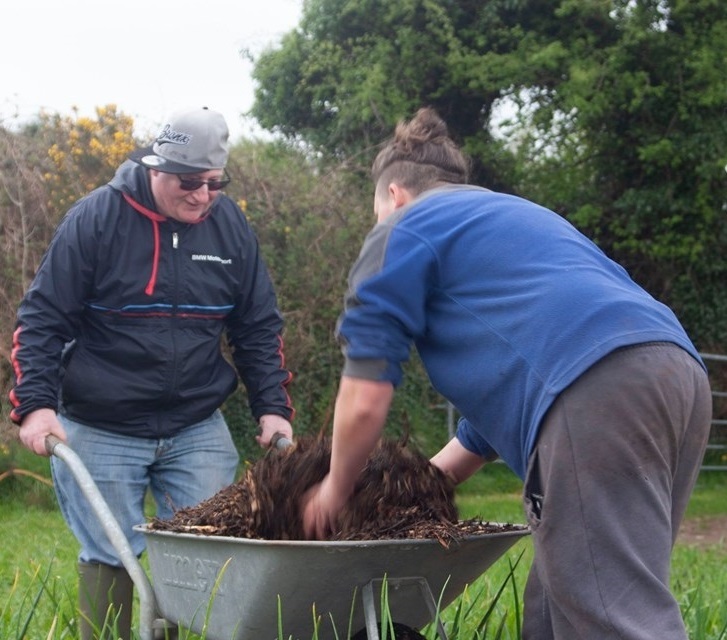 The Kerry Social Farming Project supports people with disabilities (participants) avail of social farming opportunities on ordinary farms in their local community on a long term basis (ie for as long as farmer and participant are happy to continue). Each farmer offers their time on a voluntary basis, typically for 3-6- hours once a week supporting 1-2 participants on the farm. The host farms remain a working farm at its core, and through the voluntary effort of farmers and their families’ participants are supported to participate in the farming activities and get to know people in their wider community. Farmers are fully supported in terms of operational supports, health and safety, training, and no farmer is out of pocket in terms of any farm upgrades required, any additional insurance cost, hosting farm walks and any transport required. The model of Kerry Social Farming is such that we aim to support participants to avail of social farming on a long term basis, where both the host farmer and participants are happy to continue, rather than short-term pilot placements. Accordingly, great care is taken to ‘match’ participants with host farms and farmers. Additionally there is a structured trial period whereby participants and host farmers get to know each other, and the participant gets a clearer understanding of the host farm activities. Currently the selection process for participants is through referrals from the service providers and voluntary organisations. Referred participants complete an application form, with the support of an advocate where necessary, regarding their preferences, requirements and understanding of social farming and the KSF facilitator meets the participants and their advocates to explain more about the project and what’s involved. Likewise, recruitment of host farmers has been achieved through presentations at Rural Social Scheme meetings, linking in with IFA and media sources. Following an expression of interest, the KSF facilitator, Irene Kavanagh liaises with potential host farmers on the farm to discuss the project and the farmer also completes an application form, if they are happy to proceed. Farmers are fully supported by the Kerry Social Farming Project and the facilitator in getting set up as a social farm. Operational support is provided by the facilitator, along with labour support where required to make any farm upgrades/adjustments. 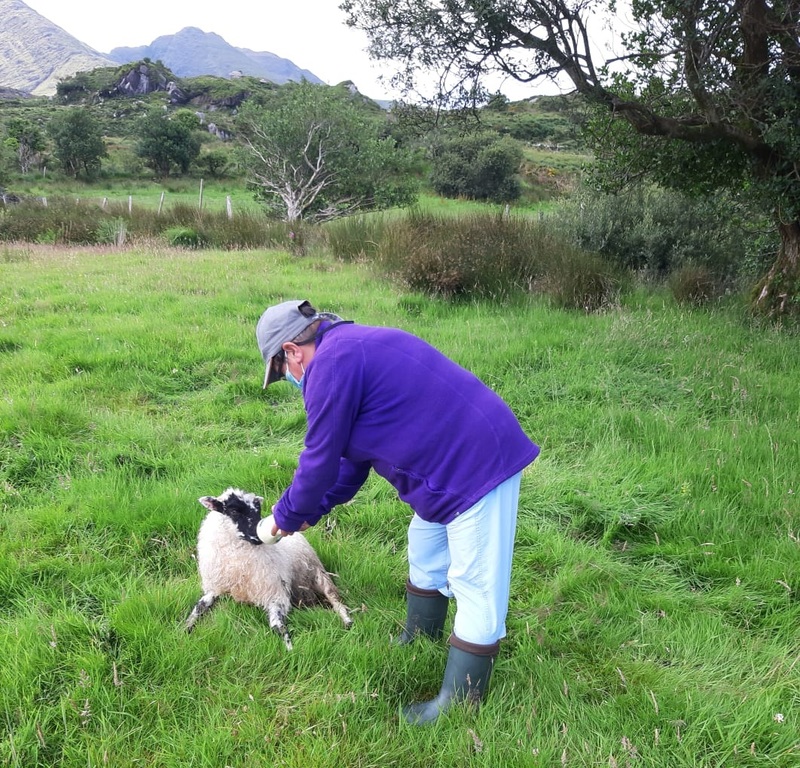 Farmers are also fully supported financially to make any necessary farm upgrades to ensure the health and safety of the participant and/or provide different activities Following an expression of interest the KSF facilitator, Irene Kavanagh pays a farm visit. Following this meeting with the potential host farmer and an initial site inspection, the garda vetting process is commenced and a safety audit is conducted by the KSF facilitator and SKDP Rural Social Scheme (RSS) SKDP supervisor and host farmer. The audit is conducted to Health and Safety Authority (HSA) standards, and the host farmer is given a copy of the farm safety statement, along with a summary list of recommended Health and Safety (H&S) adjustments that are required. The H&S farm adjustments are for the safety of the participants on the farm and also to make farmers aware of hazards on site. The funding for necessary farm adjustments are from the DAFM (via CEDRA funding). The participants’ support workers (from the service provider) are also at hand to advise regarding safety of participants on the farm. Ongoing support for the farmers is provided by the Kerry Social Farming Facilitator and Project Manager, with the backing of the working group. The facilitator is available for occasional farm visits and available by phone if the farmer has any queries. Also the facilitator provides an important link to liaise farmers with participants’ support workers and families. Host farmers are also represented on the KSFP Working Group and are there to ensure that host farmers are fully included in the steering of the project. Financial support is provided for both the set up phase and ongoing supports. For instance, after a while it may come to light that additional adjustments may need to be provided to the farm, either to provide additional activities for the participants and/or safety adjustments. The importance that ‘no farmer is out of pocket’ and that funds are there to continue to provide social farming activities for people with disabilities is fundamental to the operation of the KSFP, as farmers offer their time to the project on a voluntary capacity. Expenses for farmers to attend other KSFP activities are also provided. The KSFP facilitator liaises with participants and their support workers to ensure that participants are placed on farms in accordance with their own person centred plan (PCP). The person centred approach of the KSFP is another fundamental aspect of the project. Participants are placed based on what activities, goals and farming activities they might like to be involved with and what kind of supports they might need. Participants are typically supported on the farm by the individuals support worker for the trail period (normally 4-8 weeks) as well as the host farmer. A review at the end of the trial period is a collaborative approach between participant, host farmer and the service provider, which is coordinated by the Kerry Social Farming Facilitator. After the trial period the additional support provided by the support worker may be phased out, if that additional support for participant and host farmer is no longer required in these instances. However, the support worker staff remain in contact with the KSFP facilitator and host farmers to provide support on an ongoing basis. Occasionally a support worker may continue to work alongside the participant and host farmer where additional assistance is required. The KSF Framework of Support Plan ensures that the participants’ progression is evaluated on an ongoing basis. Not only are the participants central to the ongoing reviews of the support plans, these evaluations are conducted in a collaborative manner whereby host farmers and support workers can make an important contribution. The KSFP is working with Local Link Kerry to develop a social car model to assist with participant transport to farms. Ongoing financial support is also provided to the KSFP to purchase equipment, PPE and protective farm clothing for participants. One of the targets of the KSFP set out for the Oct 2016-Oct 2017 period with the DAFM was to hold 8 farm walks/knowledge transfer events. A total of ten host farm walks/knowledge transfer events took place during this period. A host farmer meeting took place in Listry at the beginning of 2017. Two host farm walks took place on Ger O Sullivan’s farm in 2016 and 2017, one on Patricia and Anthony Kelliher’s farm in Faha, one on Christy and Mary McDonnell’s farm and one on George Kelly’s Hazelfort Farm. Farmers from the KSFP also attended the South Kerry Ploughing Championship and the National Ploughing Championship in 2017 as well as the 2017 Burren Winterage School. An extended host farm walk/open day too place on host farm, Hazelfort Farm to launch the 2017 KSFP Evaluation Report. During the period Oct2017-Oct2018, a number of farm walks took place. In March we held our first farm walk in the NEWKD area, hosted by Helen and Danny O’Mahony, Castleisland. In April Breda O’Sullivan had a walk on her farm at Glencar and in October a farm walk was held as part of an Open Day on Rena Blake’s farm near Ballybunion. Farmers also attended the Kingdom County Fair in Tralee in May, National Ploughing Championships at Tullamore in September and Women and Agriculture Conference in Killarney in October. The targets for Kerry Social Farming 2017-2018 are informed by the agreed targets with the DAFM, as set out in the KSFP/SKDP proposal to develop the KSFP model submitted to the DAFM, 25th July 2017. These targets are primarily informed by the recommendations made in the evaluation report on KSFP, conducted by Dr Brendan O Keefe (Mary Immaculate College), Dr Caroline Crowley (Crowley Research) and Dr Shane O Sullivan (Limerick Institute of Technology). The evaluation of Kerry Social Farming was funded was funded by the DAFM (via CEDRA funding) which was awarded to SKDP in 2016 following their successful bid to develop a model of social farming, Lot 2 Single Model, with national benefits (KSFP Final Report, 2017). A link to the report can be accessed here:2017 KSFP Evaluation Report. These targets were achieved across a wide range of actions including the enhancement of input by participants, provision of training opportunities for participants and host farmers, the enhancement of social farming activities on host farms and increased clarity on the roles of all project partners through the updated Memorandum of Understanding.